Pack less, pay less. Verbier ski clothing hire is a simple but highly practical service that makes your ski trip easier than ever. You hire your skis, boots and place to stay — now you can hire your clothing too. For a sport you might do a couple of times a year skiing is expensive. That’s why most people don’t buy an annual ski pass or a chalet. It’s the same for your equipment. Skis and boots are expensive, they’re also a nightmare to carry through the airport having spent most of the year in a garage. That's why most people choose to hire them and it shouldn’t be any different for your ski clothing either. 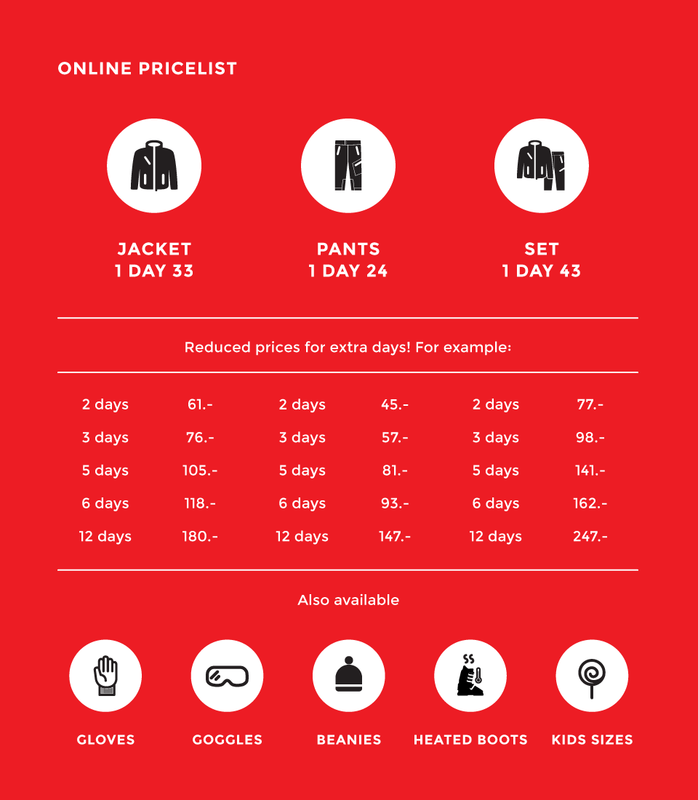 This is why we’ve created our new Verbier ski clothing hire service: To make your ski trip even easier than before. No more additional charges for overweight baggage, no more squeezing into borrowed gear. Why Hire Your Ski Clothing? Whatever the reason may be – an unplanned weekend skiing, lost baggage, a faulty zip on your jacket or quickly growing teenagers – you can now rent our top quality gear with the same ease as renting your skis. Verbier ski clothing hire allows you to choose items that suit your level, clothes that suit your tastes or equipment for that day’s particular activity. Perhaps you’re going heli-skiing or its your first and only planned day on the slopes— no problem. You don’t need to spend a fortune on a whole outfit just to get out there. Importantly, hiring ski clothing – much like hiring skis – gives you access to so much more choice. 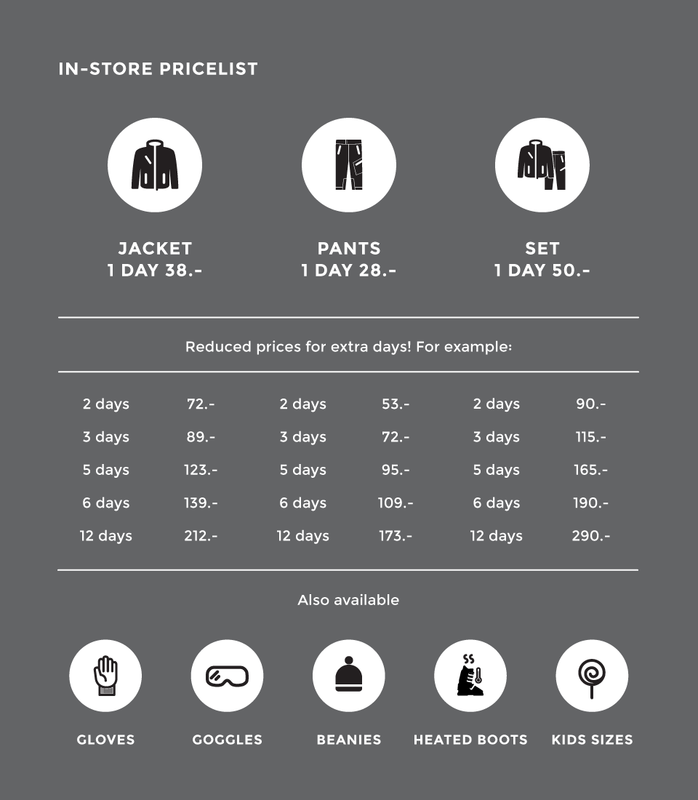 Instead of digging out the tired jacket you’ve been wearing for the last five years, you’ll be choosing from all the newest clothes from the most respected brands. They are the best clothes from the best brands. Don’t like something? No problem, just come back and change it. It’s as easy as that. Fashion affects the slopes just as much as the streets and often it changes more frequently than the snow forecast, which can be annoying when buying expensive ski clothing. Looking at that purple all-in-one shoulder-padded ski suit you bought and saying, “I bought it when everyone was wearing this kind of thing. It cost me a fortune!” will become a thing of the past, as you strut through town in your new threads, confident that, like your purple rhinestone adorned all-in-one, buying ski clothes instead of renting them, is so last season. Jackets, pants, goggles, gloves and beanies available in all sizes for both men and women and also in kids sizes. This season’s styles by The North Face and Pure. 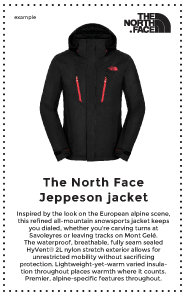 Our high quality The North Face and Pure clothing is washed and treated after every use. They will always be clean, fresh and ready for you to rent. Verbier ski clothing hire – online and in-store. Verbier ski clothing hire is available both online and in resort, giving you the option to book in advance or rent when you are in town. Book online at www.skiservice.com. You can also walk in to Ski Service in Verbier or Ski Service Les Ruinettes.